Bananas, Apples, Plums, Mango, Peaches, Pears, Kiwis, Oranges, Pineapple, Persimmon. Apple, banana, kiwi, mango, orange, peach, pear, persimmon, pineapple and red plum. 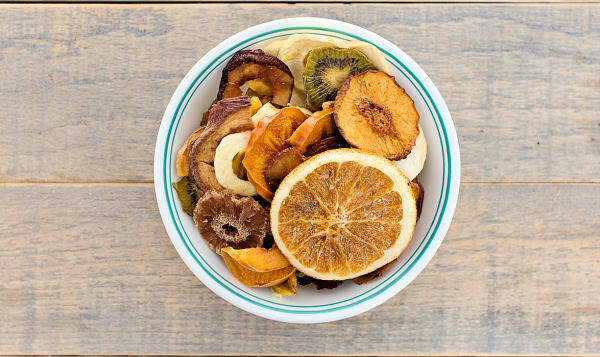 A combination of dried fruits like you've never tasted! Created in 1975 by Grandpa Ayoub, this mix packs a serious punch of rich, all-natural flavours!